Given that my spine didn't hold out until I was 38, I know first hand how ridiculous an age 68 is to expect frontline crews to work until, but that is apparently the age considered acceptable for paramedics to be carrying people down flights of stairs, climbing into wrecked cars and driving at speed on blue lights. It's a stand-out example of how little ambulance executives and politicians comprehend - either that or they genuinely don't care, in which they've got no place having anything to do with healthcare. If they actually thought it through, it'll probably end up costing the taxpayer more in the amount of injuries and illness that would be suffered by people of advanced age trying to fulfil their duties. They're having a hard enough time keeping a younger workforce in a fit state to get the job done. 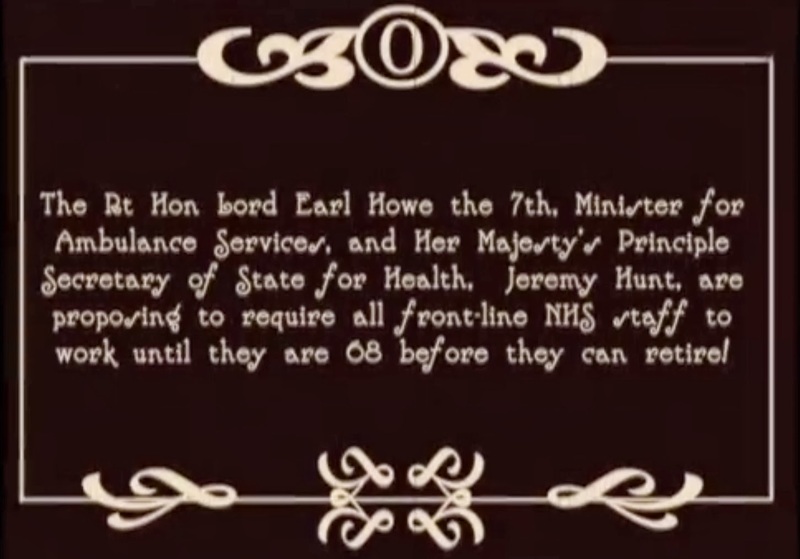 As described on the YouTube source page, this is a "music video protesting against the UK government's proposal to increase the retirement/ pensionable age for all frontline NHS staff to 68, including paramedics. This will have a particularly damaging impact on ambulance staff and increase clinical risk for their patients. "Track performed and shot by the paramedic '68 Old Stars'. "Original song 'When I'm 64' by Lennon/ McCartney, new lyrics Nicole Skeltys. Edited by Steven Ball and Nicole Skeltys."